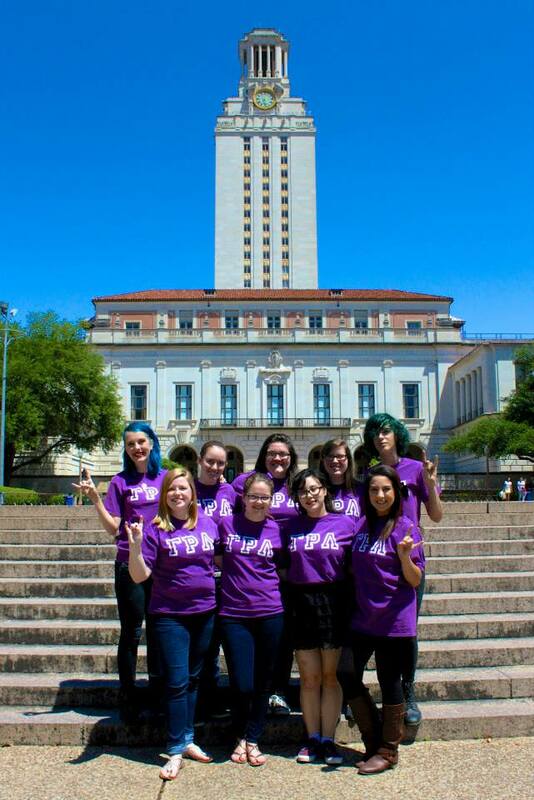 The country’s first gender spectrum-inclusive sorority will soon have a member colony at the University of Texas at Austin, representatives from its UT delegation announced earlier this spring. It’s good news for LGBTQ students at UT who may have felt that none of the the school’s existing Greek options seemed like they would be a right fit. The Austin colony of GRL is still in the process of becoming official. But I caught up with Ashley Carter, Vice President of Communications for GRL, to learn more about the sorority. Ashley rushed in 2010 and graduated in 2012 from Arizona State University. Our conversation revealed ways GRL serves a valuable role on campuses where it has a presence — particularly when those universities are located in conservative states such as Arizona — suggesting the bridge-building educational and inclusive social benefits that may soon come to UT’s student body when GRL is officially operating starting this fall. How did you learn about and decide to pledge GRL? I graduated from a high school in a conservative area, and wanted to “get away” for college. I had come out as a senior in high school, and [in college] was looking for like-minded individuals. But then when I got to college I tried to buckle down, and I didn’t end up reaching out [to GRL] until the summer before junior year. What was your experience once you joined? It was the community I was looking for: an accepting community that “got” where I was coming from, where I didn’t have to explain everything. I never thought I would join a sorority. But it was perfect. And ninety percent of the people in it have that same story. It’s very accepting, and very educational. For example, I didn’t know a lot about transgender people, and I ended up having trans brothers. I didn’t know what pansexual was, and learned that, too. How does GRL function within the Greek scene on the campuses where it now has colonies? It varies. At Arizona State, it is part of the Multi Cultural Greek Council, so that meant we had to do a key event each semester. People in that council are open and accepting. But they didn’t know anything about us, and many just didn’t grow up in contact with [LGBTQ individuals]. We taught [fellow council members] about our culture, and also about definitions. They were extremely accepting… most people were very open, and would just ask us things, and really ate up the information we provided. We didn’t expect that… in Arizona there are a lot of conservative views, so we act as a resource. It’s better to learn from us than get it wrong. Most chapters are in the Multi Cultural Greek Council. But a few are in the Pan-Hellenic Council. We started out as being part of the Pan Hellenic Council [at Arizona State], but the Multi Cultural Greek Council is a better fit. What influence beyond serving the general student body as an educational resource does GRL serve? GRL is the first all-inclusive national sorority: we’re the first to define our gender policy as accepting on the gender spectrum. Delta Lambda Phi is the so-called gay frat, and they took our gender policy and rewrote it to be more accepting [of trans people and others who define themselves differently]. So it sounds like you’re providing a model of inclusivity that others are following. Exactly. People call us the lesbian sorority, but that’s not really right, because we’re more than that. When GRL was originally founded, what were some of the factors that were most helpful for helping them succeed? When it was founded it got a lot of support from the university. Jessica Pettit, a speaker and activist, was a mentor to the founders, and a good resource on setting up the organization. There was an LGBT coalition at Arizona State, too, which usually helps. When colonies spring up, they get support on campus, and pull members from, the LGBT coalition. Even if people aren’t rushing from that group, they are able to spread the word. 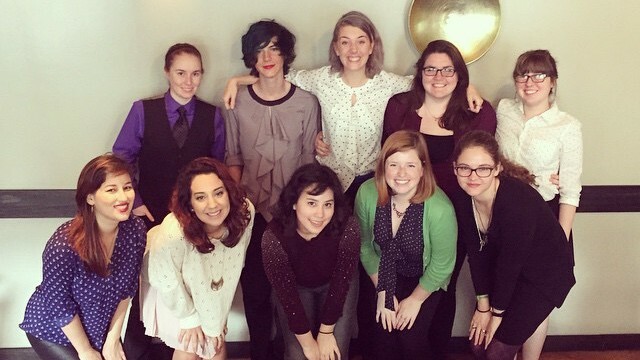 The queer community is small, so [having those links is] important. In Austin there’s a lot of media attention for the new colony, as well as some backlash. It’s hard to deal with that, especially when you’re just starting out. It’s like, leave them alone. But they’ve been handling it really well. My advice for dealing with that kind of stuff is just to ignore it and overcome it. There are more supporters than haters, so focus on those who are supportive. That’s not to say not to try to have a conversation, because a lot of times [people saying negative things] just don’t understand us. So we say, do try to foster conversation. People just don’t get it sometimes.